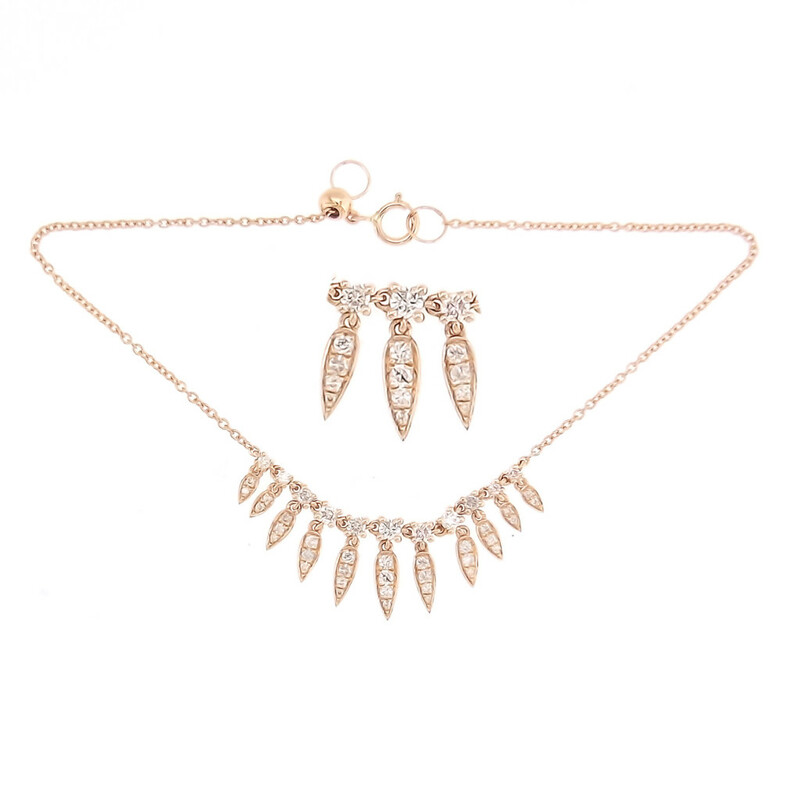 Exquisite rose gold diamond bracelet with graduated diamonds along the chain and dropping diamond filled leaf shapes. Each piece is connected with seperate links creating a delightful and delicate movement and play on light. Makes a statement worn alone or compliments other bracelet.